After a BioGrowth Soil Science assessment, ECM was applied to a section of the Pacific Complete highway upgrade in New South Wales. 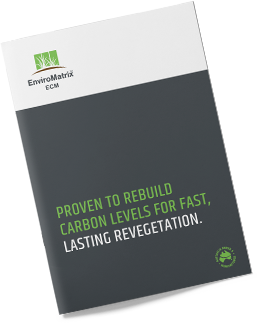 A conventional revegetation program was applied simultaneously next to ECM to trial its success. In November 2018, Lendlease contracted EnviroStraw to rehabilitate a steep slope on the Pacific Complete Woolgoolga to Ballina project in northern New South Wales. Video footage of our hero product EnviroMatrix ECM being applied to a steep slope in Asia, at a rate of 8 tonnes to the hectare. Comparison trial of the EnviroMatrix ECM program and a conventional inorganic program.